A lecture given by Fr. Howard Gray, S.J., at Holy Trinity Parish in Georgetown, Washington, DC in 2012, this lecture introduces the "Principle and Foundation" from St. Ignatius’s The Spiritual Exercises. Vinita Wright, author of Days of Deepening Friendship: For the Woman Who Wants Authentic Life with God, offers a reflection on the First Principle and Foundation. The Examen of Consciousness is a spiritual practice developed by St. Ignatius Loyola which can help you grow more sensitive to your own spirit and its source. Here, Jesuits and laypersons discuss their practice of the Examen. Produced by Paul Hanley, Pacifica-Sunset A.M.D.G., Pacifica, Calif. Used by permission of Paul Hanley. Jim Manney, author of A Simple Life-Changing Prayer on the daily Examen and God Finds Us: An Experience of the Spiritual Exercises discusses the Examen as a method of reviewing your day in the presence of God. Becky Eldredge, a blogger for the IgnatianSpirituality.com blog, dotMagis, shares why she loves praying the Examen. Canadian Jesuit Scholastic Artur Suski SJ explains from his own experience the dynamics of the Examen, a fundamental prayer in Ignatian Spirituality, and the steps in praying it in our daily life as a way help us continually discern God's will in our life. Father Timothy M. Gallagher, O.M.V., author of Discernment of Spirits and popular speaker explains St. Ignatius’s concept of discernment and how important it is to the spiritual life. This video introduces the concept of the discernment of spirits from various practitioners of Ignatian spirituality. A brief, introductory video commentary by Rev. Brian O. McDermott, S.J., (Special Assistant to the President, Georgetown University) on St. Ignatius’s Rules for the Discernment of Spirits from the First Week of the SE. On learning how to lean on God and finding his quiet assurance for the life decisions we’re making. Spiritual Exercises - Week One from robert cunningham on Vimeo. Ed Quinnan SJ, Associate Director of the Jesuit Collaborative, reflects on the first week of the Exercises. Kevin O’Brien, S.J., author of The Ignatian Adventure, reflects on the Two Standards from the Second Week of the Spiritual Exercises. Spiritual Exercises - Week Two from robert cunningham on Vimeo. Jim Conroy SJ, Director of the Jesuit Collaborative, reflects on the second week of the Exercises. Called Forth in Love, The Second Week of the Spiritual Exercises. Howard Gray, S.J. on the passion and death of Jesus from the Third Week of the Spiritual Exercises of St. Ignatius Loyola. Howard Gray, S.J. 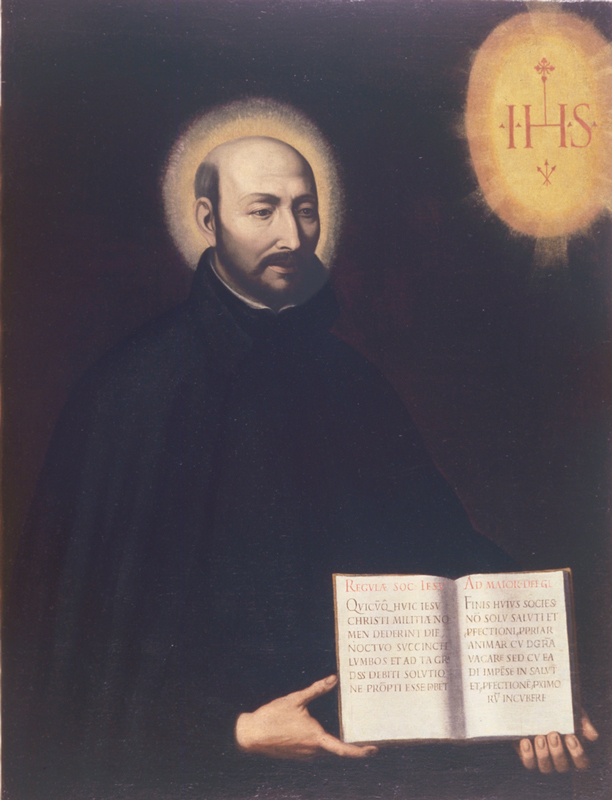 on the resurrection of Jesus from the Fourth Week of the Spiritual Exercises of St. Ignatius Loyola. Contemplation on Divine Love: In this video, Kevin O’Brien, SJ, author of The Ignatian Adventure, explains this exercise as contemplating God’s love, which is given to us so freely and generously.